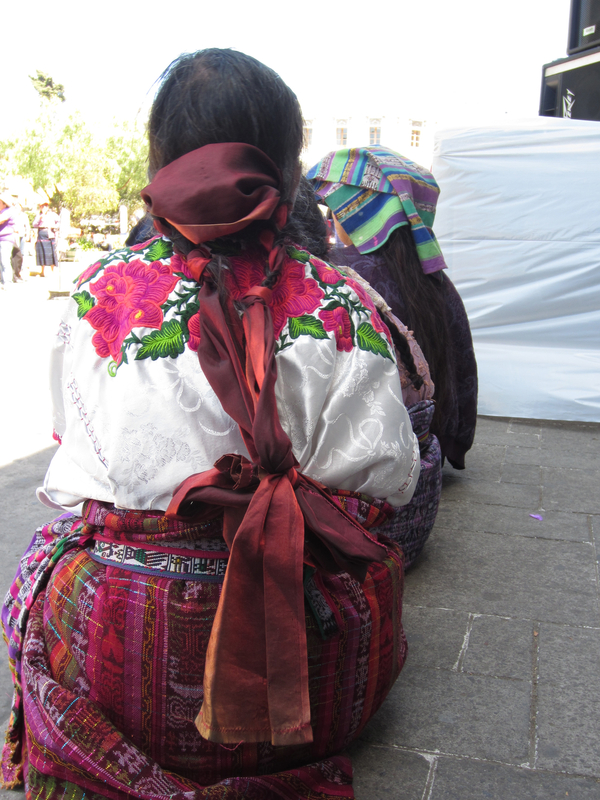 Photo taken during El Dia de la Mujer (International Women’s Day) celebration in Xela, Guatemala. I saw her sitting there watching the parade and festivities of El Dia de la Mujer and wondered about her life. Was she illiterate like most the Mayan women? Did she suffer from backbreaking work for all hours of the day? Or was she a victim of domestic violence? I couldn’t help but stare at her in awe and admiration of the beautiful traditional clothing she was wearing and most likely spend hours on making. She was a beautiful site and the true embodiment of Mayan culture and splendor. My only wish is that she has a good life free of abuse against women.